I realize not everyone is ready to jump back into investing in real estate. Many of us, me included, are still feeling stung by some of our investments in the mid 2000’s. With that said we all have our retirements to think about at some point and, even though we are feeling betrayed by every aspect of real estate, it’s still an investment backed by a very predictable asset that can be a very good long term investment. The housing bubble we are all in the midst of deflating was fueled by many complicated dynamics, but one very simple point the masses were drunk on that was never going to be sustainable was the notion of investing in real estate purely for the equity increases. Even if that meant sustaining big negative cash flows every month (AKA buying a house where the mortgage payment was significantly more than the rents). This model works great when house values are rising at annualized rates of 10-15%, but as soon as that stopped the troubles started…we all know the rest. 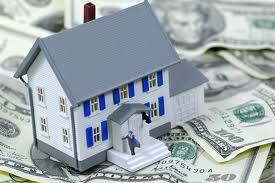 Lenders will still routinely give you 75% of the funds to purchase an investment property. Even though, the media would like us all to believe banks aren’t lending any money. There are programs available for any Fannie Mae foreclosure property with only 10% down even when being purchased as an investment property. I have not read one article in 2010 that has any “expert” predicting double digit drops in real estate values. Most are describing housing as being at or very near the bottom. Real estate is among the very best hedges against inflation. As the Fed prints more money the threat of inflation goes up. It’s totally feasible to achieve a positive monthly cash flow from rental properties even with very realistic expenses included. I have spread sheets that will help analyze for anyone that is interested. For anyone with a longer term investment horizon (minimum of three years), I believe real estate needs to be a part of your overall portfolio. When done right, real estate is an investment that can spin off many years of cash flow…well into your retirement. Do you want to buy when the masses are buying (2006), or do you want to do it at a time when the right fundamentals are in place? I would love to get with you and your financial planner to look at financing options and see if real estate should be a part of your investment portfolio. Does it make sense for you to refinance your current mortgage right now? If your rate is higher than 4.75% it is quite possible it may make sense to refinance. Don’t hesitate to give me a call to discuss Investment Financing Options and Refinancing your current mortgage or any other financing needs you may have. Now is the time, we are getting rates that are absolutely unbelievable right now. Everyone should be taking advantage of that.